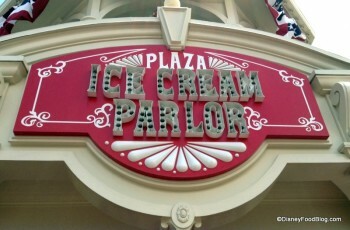 Step back in time to a vintage-style ice cream parlor located on Main Street U.S.A. Featuring classic ice cream sundaes, floats, and cones the Main Street Ice Cream Parlor has many flavors to choose from; it’s hard to pick just one! Limited seating is available, including small cafe tables on the sidewalk outside the parlor. For those interested in dairy alternatives Tofutti and Rice Dream are also available. Important Info: There’s a “flavor of the month” each month! Also, you’ll find Tofutti here.